An up-to-date and current list of the member societies of the Southwest Region of the Astronomical League is provided for SWRAL on the web page of the Texas Star Party. Visit the TSP, Inc., web site to find a club near where you live in Texas, Oklahoma, or New Mexico. 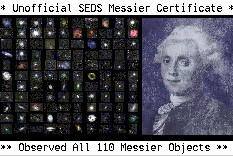 By assisting communication among amateur astronomical societies. The Southwest Region of the Astronomical League is made up of 28 member societies of the Astronomical League in the states of Texas, Oklahoma, and New Mexico. The purpose of the SWRAL Yahoo! Newsgroup, hosted by the American Association of Amateur Astronomers, is to create a forum where members of SWRAL clubs can share ideas and experiences, and just get to know each other. If you belong to one of the member societies of the Southwest Region of the Astronomical League, or just want to know more about what is going on in this part of the Astronomical League, please join us as we share ideas about our region and what we can do to encourage more communication between clubs. Join the American Association of Amateur Astronomers! and other important SWRAL news. sponsored by SWRAL and hosted by TSP, Inc.